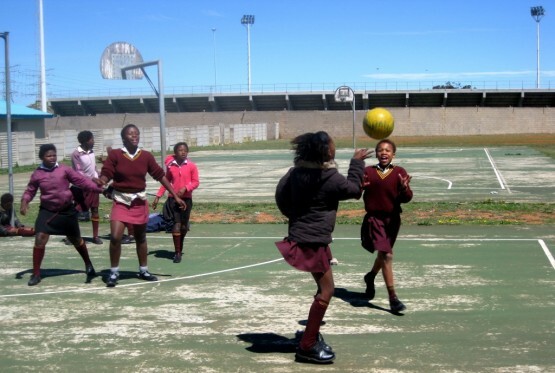 Tayah Wood gives a great insight into her time as a volunteer on our sports coaching in South Africa project. Some great tips for people who are thinking they might like to get involved! I had the trip of a lifetime. Literally the best four weeks of my life! Thank you for all that you did for me prior to my departure. I will be recommending Oyster to everybody I know! The placement completely exceeded my expectations. What were the highlights for you on this placement? There are too many highlights!! Walking into the very first school for the first time and having the children screaming and hanging out of the windows trying to get our attention. We all felt like celebrities! Playing with the children at the Ben Sinuku school who loved to swarm around the bus as soon as it arrived. Being taught how to dance/sing along the African way! Seeing elephants for the first time in Addo National Park. Feeding the elephants at Kwantu Elephant Sanctuary. Realising that I have made friends that I intend to keep and stay in touch with for life. What recommendations and advice would you give to future participants going to the same placement? Go without any preconceptions or expectations. In doing so, you will come to appreciate everything you experience so much more than if you expected things to happen in a certain way. Be open to meeting new people who may or may not come from the same country/background as you and take lots of thin layers that you can stack! Was there anything that you found challenging on this placement, and how did you deal with it? Leaving the project was by far the most challenging part of the placement. Everything about the whole experience was absolutely amazing. You adapt very quickly to your surroundings, helped by the fact that your fellow volunteers are all going through the same experience. Planning our initial first coaching session was difficult, especially given that I was asked to coach netball as opposed to tennis with Marit, a Dutch girl who had never played the sport. The challenge brought the both of us closer together however and made me realise that I am a lot more capable that I had previously realised. Why should other people to do this placement? The question should be ‘Why would you not do this placement? !’ But ultimately, this experience will give you a new perspective on life. You will make friends that you will want to keep in touch with forever and experience a culture like no other.